Graduation is that one day in your life when all the hard work that you have invested in your studies finally materializes and marks the end of graduate programs. 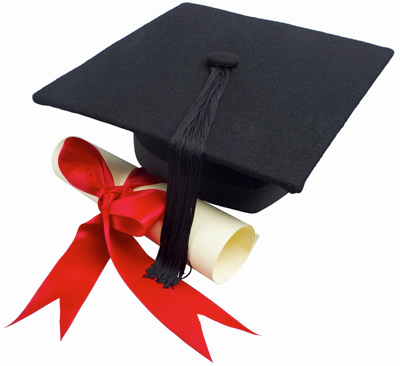 You receive your certificate of graduation from the university in the presence of chief guests. You get to wear the convocation gown and hat and take marvelous photographs of you standing proud. You can make this day even better by inviting your close friends and relatives to the graduates ceremony using a cool online invitation tool from Yoovite.com. You can’t invite all your friends and relatives to the graduation ceremony since if every student does the same thing, it will be an uncontrollable crowd. Instead handpick your closest friends and relatives and send invitations to them using Yoovite. If you are a coordinator, then you can use the tool to invite the chief guests, staff members and any other miscellaneous guests. Inauguration – Lighting the lamp is generally the best way to inaugurate the function. You can also give certificates of appreciation to every executive present as chief guests. Goodie Bags – This is for the chief guests as well as the participants. You can give books, DVDs, business cards and many other gifts in those goodie bags. 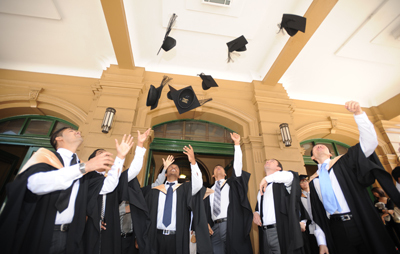 Awards – Certificate of completion is given during the graduation ceremony. It is folded and tied using a red band. It is the chief guest who awards the certificate to the graduates. If the students have attended less than 70% of the sessions, they will get a certificate of participation. Speech – You can have your principal, chief guests and heads of department to give speeches on various aspects of academics and future plans. The theme should be academic. You can have bright colors and large wallpapers of various fields of excellence at various places in the hall. Graduation and post graduation ceremonies are almost always held in the school or college auditorium. You can hire a local decorator to do the job for you. It is a good idea to invite people from the placement cell as well as some educational consultancy to be part of the ceremony. Interaction between students and these people will be helpful for their future. Some might want to immediately start working while others might want to study post graduate. This session will be very beneficial for either party. Food is an integral component of the graduation ceremony. It is not complete without a gourmet buffet lunch. You can have a nice caterer take care of the lunch part. But make sure that there is a definite idea about the number of persons who will be present. It doesn’t have to be very elaborate like parties but should contain vegetarian and non-vegetarian dishes.